The Government’s housing policy is not working. The scale of its overall strategy is not sufficient to meet the challenge it addresses. Rebranding private rent as social housing has not worked. Removing homeless families from official data as a policy response has not worked. Rebuilding Ireland has not worked. 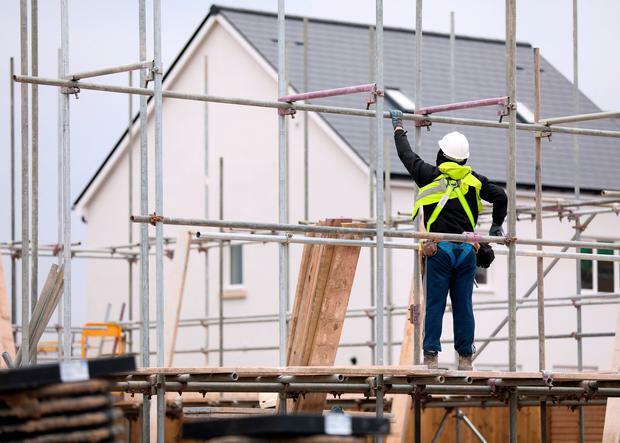 As part of our socio-economic review ‘Social Justice Matters: 2019 Guide to a Fairer Irish Society’, we propose to rebuild Ireland’s housing policy from the ground up. The years of austerity are apparently behind us as the economy improves, we near full employment and household wealth is higher than prerecession levels. However, for those in the midst of a housing crisis that has been dragging on for more than a decade, talk of recovery is cheap. According to the latest official figures, there are 71,858 households on social housing waiting lists across the 31 local authorities. Of these, more than half have been waiting for four or more years, and more than a quarter have been waiting for seven years or more. In response, the Government has reduced capital spending on housing, preferring instead to rely on the private rented market to provide ‘social housing solutions’. In 2005 local authority ‘builds’ accounted for 60pc of all social housing output; 10 years later it was 1pc and while there has been some increase in investment, in the first nine months of 2018 local authority builds accounted for just 4pc of all social housing output. In contrast, subsidies to private landlords in the form of the Housing Assistance Payment (HAP) rose from 11pc of social housing output in 2014, having been introduced in September of that year, to 73pc in the first three-quarters of 2018. Although HAP is paid directly to the landlord, there are no greater protections for the tenant than any other private renter and the tenancy agreement is between the landlord and the tenant, with no intervention from the State. This was no accident, but the result of a concerted effort on the part of Government to replace sustainable, long-term social housing with high-cost, precarious private rented accommodation. Annual rent inflation continues in double-digits, and while slowing down in Dublin (where it has increased by at least 85pc since 2011), it reached 15.6pc in cities outside of Dublin to the year ending September 2018. For these types of margins, you might assume that accommodation standards would be exceptional. However, the latest figures show that in 2017 only 4.5pc of privately rented homes were inspected, of which 79pc failed to meet the minimum standards. Homelessness is also increasing at an alarming rate. In December 2018, 9,753 people reportedly accessed emergency homeless accommodation, including 3,559 children. Despite the slight decrease from November figures, this is an increase in child and family homelessness of more than 300pc each since the same month in 2014. On this Government’s watch, four times as many children are homeless now than four years ago. And that is only those who are counted. Reports of local authorities being directed to remove families who have been temporarily housed in local authority owned homes, rather than hotels and B&Bs, from official statistics suggest that this number is actually higher. The needs of these families for permanent housing is the same as the 1,728 families included in the official data, but their status for the purpose of data collection, and subsequent policy development, has changed. In addition to removing homeless families from official statistics, the Government has continued to invest in ‘family hubs’ over more sustainable housing solutions (albeit with Housing First pilots in development). This policy has been described by the Irish Human Rights and Equality Commission as creating the risk of normalising family homelessness, with families becoming institutionalised. Time limits are needed, particularly for families with young children or otherwise vulnerable people, and the Government needs to look at countries such as Scotland that have done just that. But what about those who bought their own home? Do they fare any better once they get on the property ladder? Not if they are in mortgage arrears. Latest figures show 64,510 family home mortgages are in arrears, the majority (45,178) for more than 90 days. The more persistent the arrears issue, the more difficult it is for a family to deal with, particularly where their mortgage has been sold to an unregulated ‘non-bank entity’. Recent commentary about the sale of mortgage loans by banks to non-bank entities as part of a strategy to reduce the number of non-performing loans has focused on the lack of consumer protections for borrowers, particularly those whose loans were performing, from consumer advocates, while those in favour of this strategy cite the high level of non-performing loans acting as a barrier to accessing better credit terms, thereby contributing to Ireland’s high mortgage rates. However, it is not just non-performing loans that are being sold. According to the latest data from the Central Bank, the number of family home mortgages held by non-bank entities has risen by 89pc since 2016 (from 37,000 to 69,500 in 2018), while the number in arrears has remained relatively static (decreasing slightly from 15,400 in 2016 to 14,800 in 2018). Lack of clarity around the application of Central Bank regulation to these loans means that these families, particularly those in arrears, face constant fear of eviction and homelessness. :: Introduce sanctions for local authorities who do not utilise funding available to provide safe Traveller accommodation.